11 years to this day, George W. Bush read "My Pet Goat". "What would Mitt do? 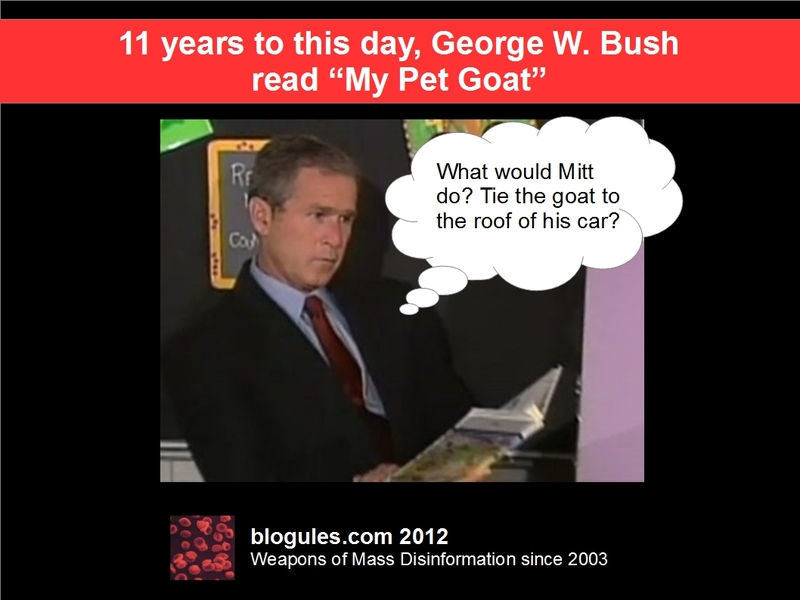 Tie the goat to the roof of his car?"